URAYASU, CHIBA— Tokyo Disney Resort® announced that starting July 10 a new nighttime spectacular and two new shows will premiere as part of the ongoing anniversary event, “Tokyo Disney Resort 35th ‘Happiest Celebration!’” In addition, summer special events will be presented again this year at both Parks from July 10 through September 2, and special summer programs will also be offered at the Disney hotels and the Disney Resort Line. 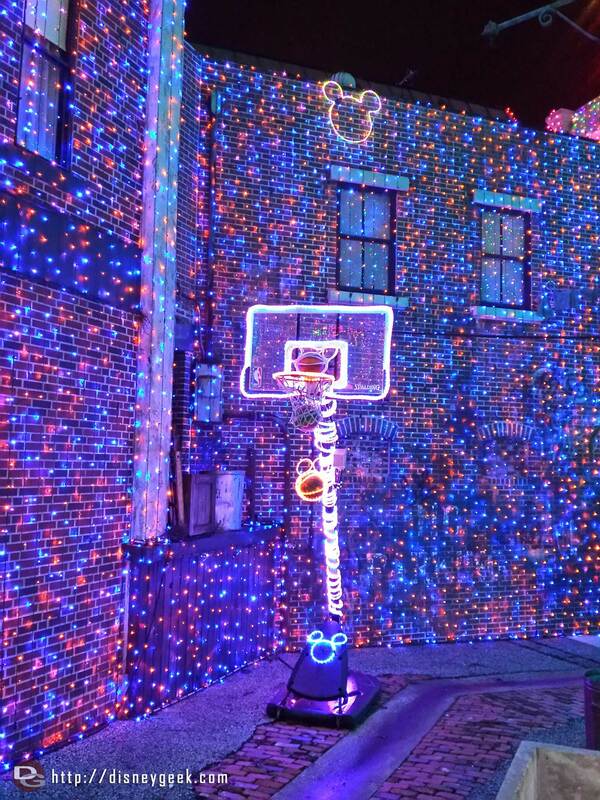 Guests of all ages are sure to enjoy everything that the 35th anniversary year has to offer this summer. 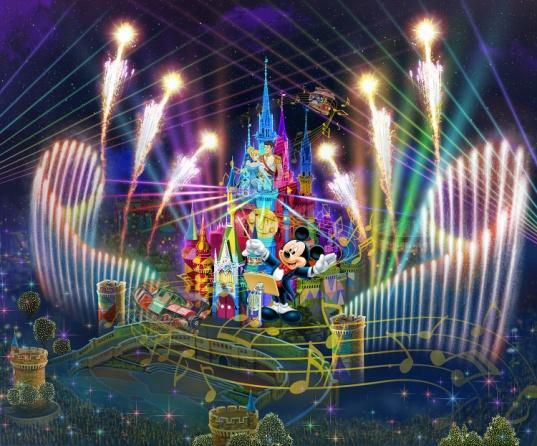 Premiering at Tokyo Disneyland® on July 10 will be the nighttime spectacular “Celebrate! 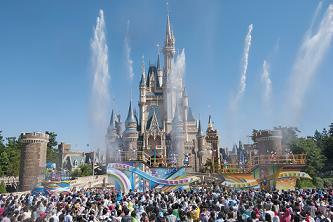 Tokyo Disneyland” created especially for the 35th anniversary. With images projected onto Cinderella Castle, colorful fountains, lights that color the night sky and lively music, this show will transport Guests around the Kingdom of Dreams and Magic. Also premiering this summer for the 35th anniversary will be “Let’s Party Gras!” at Theatre Orleans in Tokyo Disneyland and “Hello, New York!” at Dockside Stage in Tokyo DisneySea®. Both shows will spotlight the 35th anniversary with special scenes. Tokyo Disneyland will again give a Disney touch to the traditional elements of a Japanese summer festival in the special event “Disney Natsu Matsuri.” The entertainment program “Sansui! 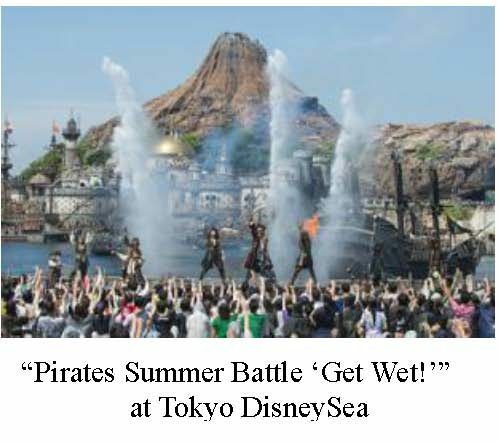 Summer Beat,” which offers a fun and cooling experience with lots of spraying water soaking the Guests, will have elements exclusive to this summer including a Japanese festival-style arrangement of the 35th anniversary theme song. 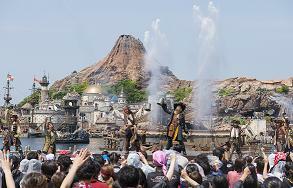 Over at Tokyo DisneySea, the special event “Disney Pirates Summer” will bring back Captain Jack Sparrow, Captain Barbossa and a pirate crew for “Pirates Summer Battle ‘Get Wet!’” Guests will be caught up in the exciting world of pirates inspired by the Disney franchise Pirates of the Caribbean and will get drenched with lots of water. 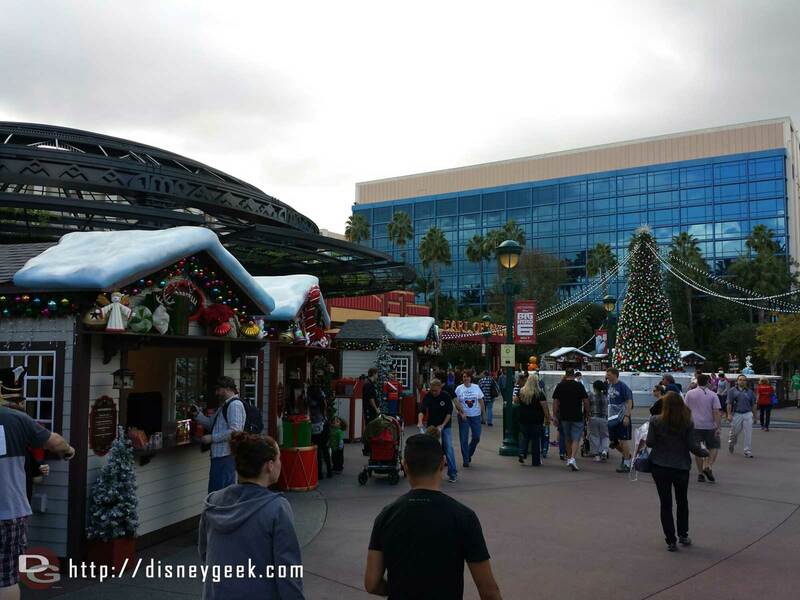 Other programs for summer will be offered at the Disney hotels and the Disney Resort Line. 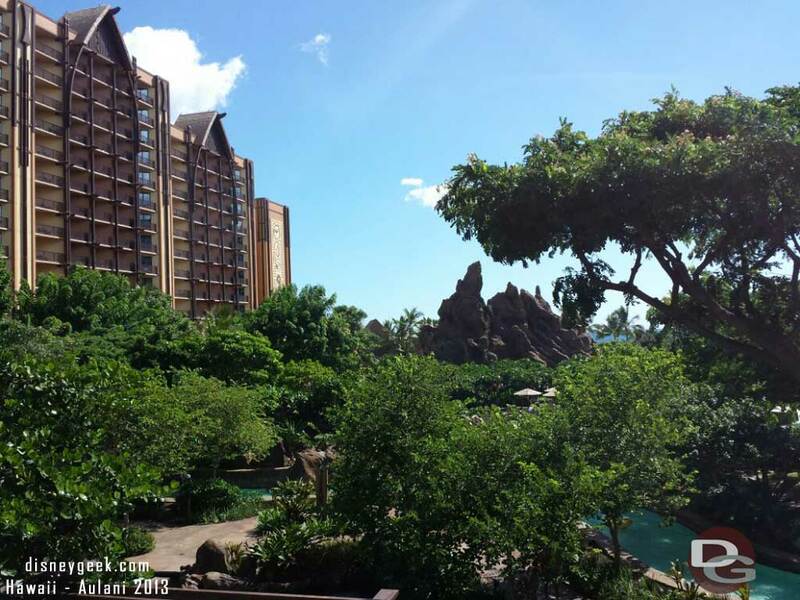 Summer at Tokyo Disney Resort in the 35th anniversary year will offer a wide variety of memorable experiences for all.